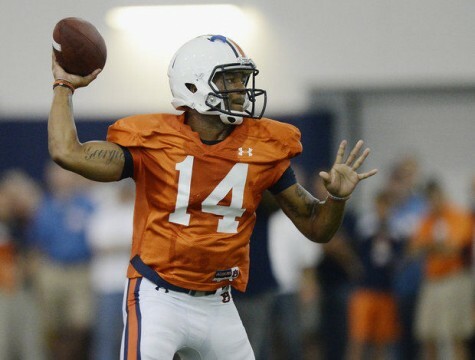 Auburn junior Nick Marshall, the greatest athlete Georgia quarterback Aaron Murray has ever seen, has been named the starting quarterback, head coach Gus Malzahn announced Saturday. The 6-1, 210-pounder from Pineview, Ga. (see tattoo), came to Auburn from Garden City Community College, where he passed for 3,142 yard and 18 touchdowns while rushing for 1,095 yards and 19 TDs in 2012. Related: J&M Bookstore tells Bielema, Saban to ‘quit your whining’ with new T-shirt.